Jake and Amy finally have the discussion viewers have been waiting for on Brooklyn Nine-Nine Season 6 Episode 12. When Amy mentions to a hospital patient that they're going to start trying for a baby soon, Jake is caught off guard. As it turns out, Jake and Amy have opposing views on parenthood. It was obvious that Jake and Amy would never separate, but in all honesty, it was scary that the option was even on the table. 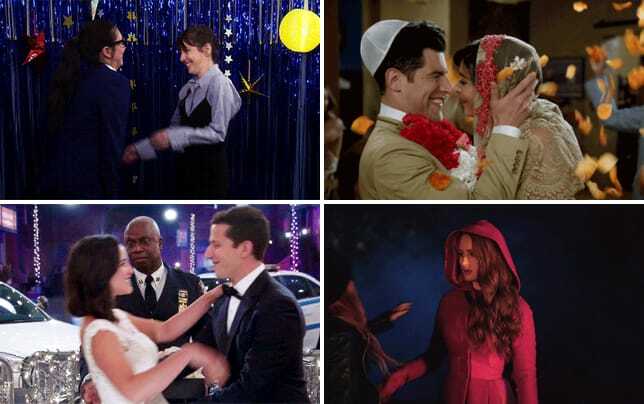 Jake and Amy started off at an amazing place on Brooklyn Nine-Nine Season 6 Episode 12, as the two were just coming up on their first anniversary. The highlights of their time as a married couple were perfect in every way, and Jake and Amy continued to prove what a pure and healthy relationship they have. Along with Amy, most viewers have assumed that Jake and Amy are going to have kids at some point. It's the next step in their marriage and it only makes sense considering the kindhearted type of people they are. Therefore, Jake not wanting kids never even crossed our minds as a possibility. Kids are usually something people discuss long before they're married so it was a bit confusing that their opposing stance on kids was new information to both of them. But it all came to light when Amy thought the money they were saving was for a kid and Jake thought that it was for a water park. Terry: You got married without discussing whether or not you want kids? Jake: We also got married without discussing whether or not we like water parks. Permalink: You got married without discussing whether or not you want kids? It is a bit odd that they could confuse the two things, but this is Jake and Amy that we're talking about. A debate obviously wasn't the way to solve the situation, but it did reveal a lot about Jake's fears and why he doesn't want to be a dad. Jake's feelings of neglection when it comes to his father isn't new. In fact, it spans back all the way to Brooklyn Nine-Nine Season 1. Permalink: Amy, I'm scared, okay? When this is put in perspective, it makes perfect sense that Jake is scared of being a father. His real father treated him horribly and he didn't have a lot of good memories to connect to a child's relationship with their parents. Jake is by far one of the most kind-hearted men on television, and he doesn't want to screw up something as huge as fatherhood and turn out just like his own dad. Amy isn't budging on children, and the fact that it's a dealbreaker for her was understandable, yet terrifying as a viewer. We knew that they would work it out, but ironically enough, it took Jake being faced with certain death to finally let go of his fear. Pam being behind the bomb was unexpected to say the least. 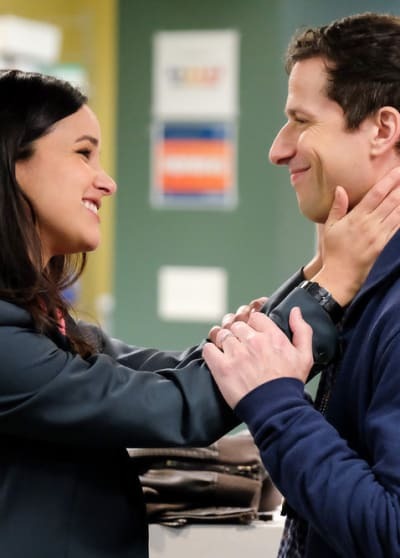 For the most part Brooklyn Nine-Nine Season 6 Episode 12 focused mostly on Jake and Amy's relationship, so it was also nice to include a twist in accordance with Jake's current case. Jake: You should've seen the look on my face when I saw it was her! Pam: Your jaw just dropped! Permalink: Your jaw just dropped! Jake may have told Amy that he's no longer afraid of having kids, but does that really mean he wants them? I've been thinking and I do wanna have kids. With you. Permalink: I do wanna have kids. No longer being afraid of something and actively wanting it are two different things. He did have a list of valid reasons about why he didn't want kids, and fear was only part of it. Hopefully, kids are something that Jake wants for himself and isn't something he's doing just for Amy. Regardless, there's no doubt that Jake would make an amazing dad and he did have a good point. If you're not scared of fatherhood then you're probably not prepared for it anyway. Related: Lucifer Season 4 Photos: The Devil Rises...With a New Girlfriend?! Jake did admit to still needing some time, so odds are viewers will still have to wait a least a little while before a pregnancy reveal. Maybe the Brooklyn Nine-Nine Season 6 finale? One can hope! Is it weird that the thing we're looking forward to most about Amy's eventual pregnancy is Boyle's reaction to the news? Holt and Kevin's inclusion in Jake and Amy's debate was perfect. 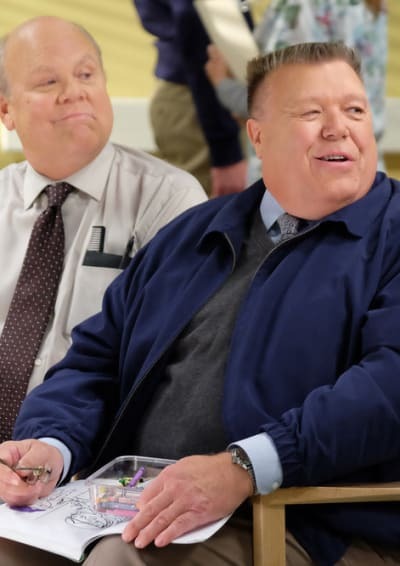 Especially because Holt is more like a father to Jake than his actual dad. What was number one on Jake and Amy's list of top 5 married life highlights? Or could it end up being the day they have their first kid? Time passes pretty quickly on the show. Twelve episodes have spanned over an entire year? As interesting as the baby debate was, the best part of the episode was undoubtfully Amy's flashback to when Jake put socks on her feet during the coldest night of the year. Does a better husband exist? 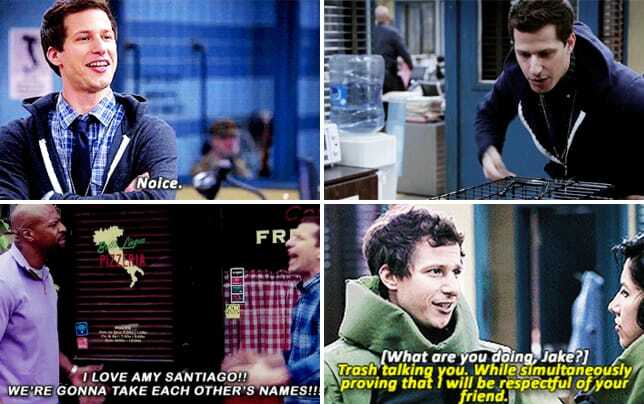 Alright, Brooklyn Nine-Nine fans! 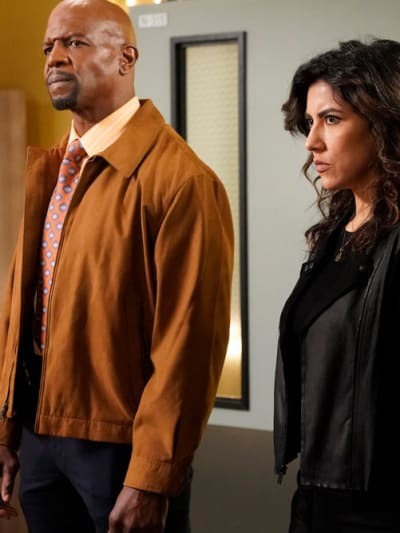 What did you think of Brooklyn Nine-Nine Season 6 Episode 12? Let us know in the comments section down below!